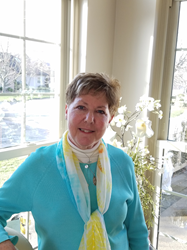 Pittsburgh area personal care home consultant Lynn Marting educates families on placing a loved one in the right care facility. Placing a loved one can be one of the most traumatic and emotional experiences one may ever encounter. “When searching for a pch/alc, we tend to look for common characteristics, such as cleanliness, amenities, pleasant atmosphere, nutritional meals, a safe environment, along with having a good license,” said Lynn Marting, owner of Lynn Marting Personal Care Home Consulting, Inc.
No. 3: Can the home handle the needs of your loved ones? Lynn advises families to make a list of their needs, such as physical, medical, social, behavioral, and to address these concerns on the tour. For example, a facility with many amenities may be most important for the resident who is more independent asking for privacy and a sense of control. This family may look for a facility with a kitchenette, a van for outings, or a larger suite. If mobility needs are most important then finding a smaller facility may be more beneficial, one with more hands on guidance and a closer staff ratio. If medical attention is necessary, then finding a home with 24 hour nursing may be required. No. 4: What type of facility is best? What is the philosophy of the home and can my loved one stay if he or she regresses? Lynn educates families on the types of facilities. These include the private “small mom and pop” homes to the larger facilities with “aging in place,” “freestanding facilities,” “continuum care facilities” and others who have a more definitive or specific care level. There are advantages and disadvantages to all of these. About Lynn Marting, Lynn Marting Personal Care Home Consulting, Inc.
Lynn Marting provides counseling on the difference and direction of personal care homes, assisted living facilities, independent living centers, skilled nursing home care, Alzheimer and dementia units, continuing care centers, senior residential communities and life care centers. Lynn is a lifelong resident of Pittsburgh. She has 30 years working as a placement consultant for the elderly as well as many years experience in physical rehabilitation. A degree in Social Work and a background in mental health have given her the expertise needed in guiding you or your loved one toward making the right decision when living alone is no longer a choice. For more information, please call (724) 274-2177, or visit http://www.lynnmarting.com.